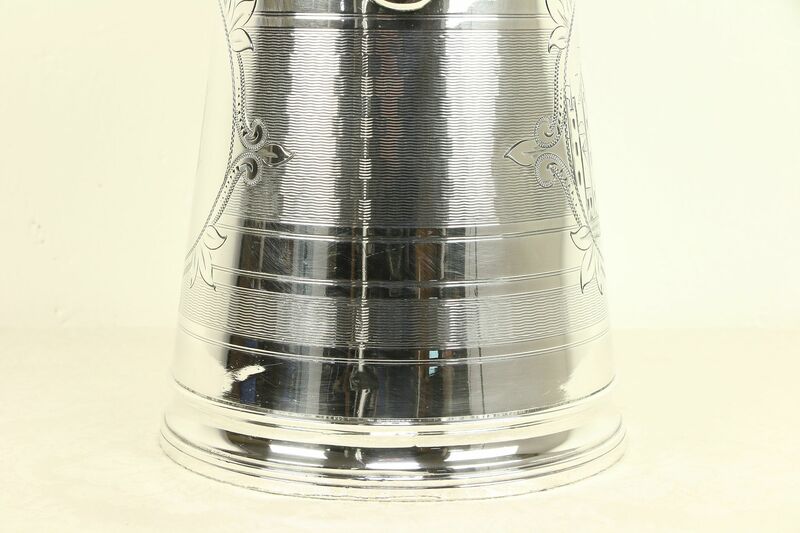 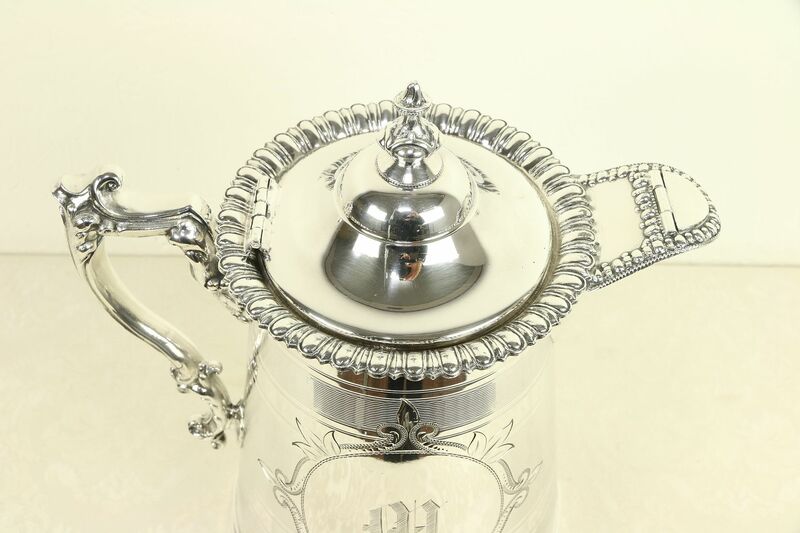 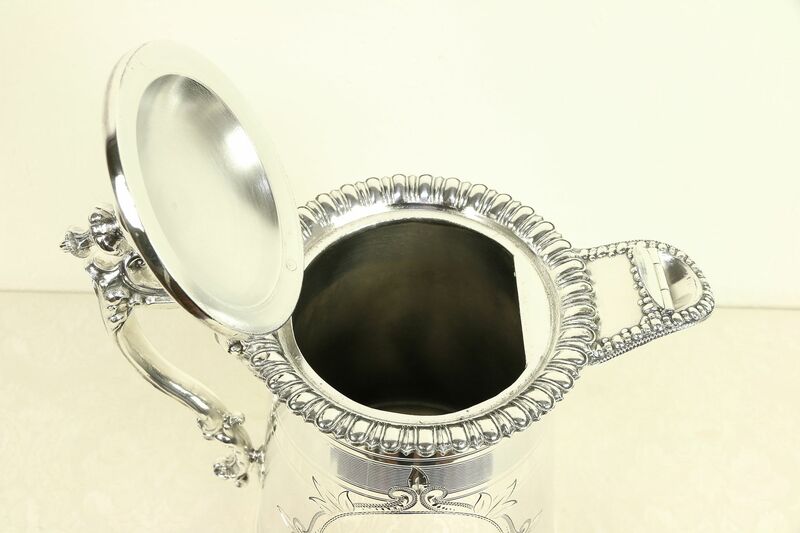 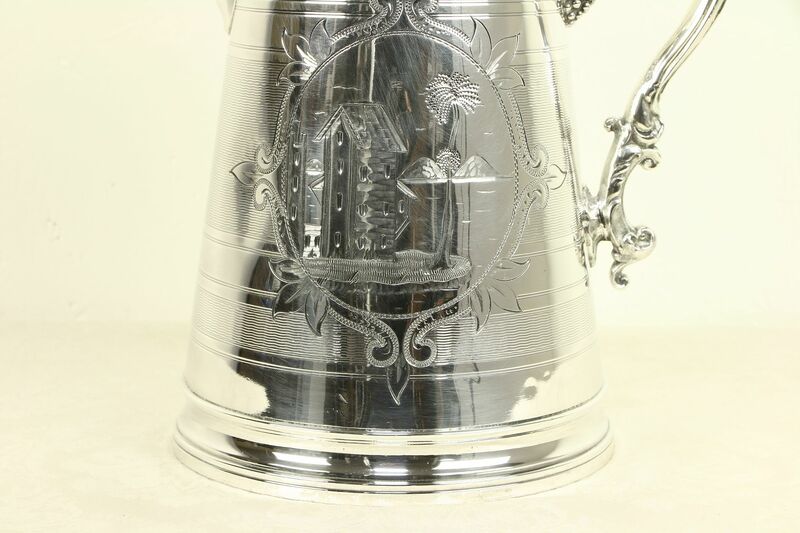 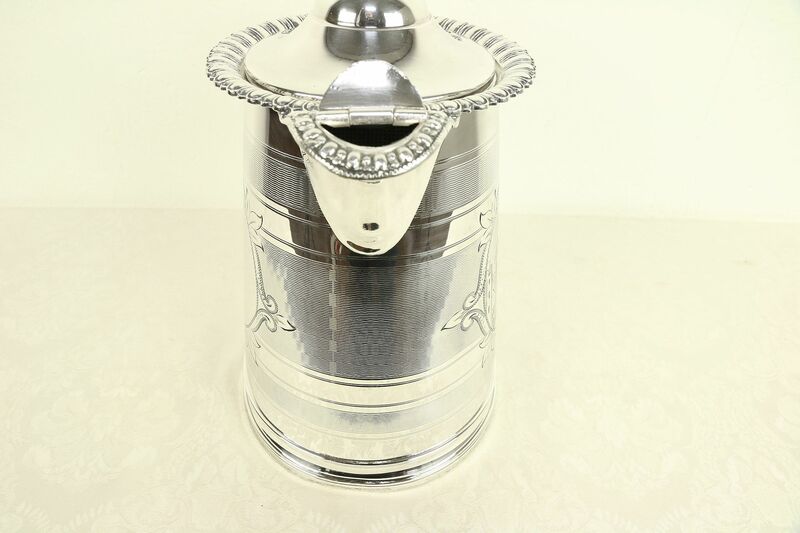 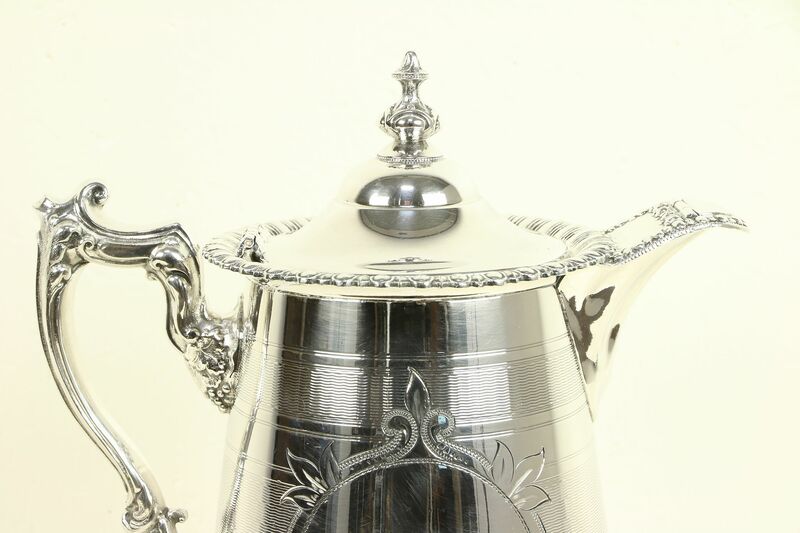 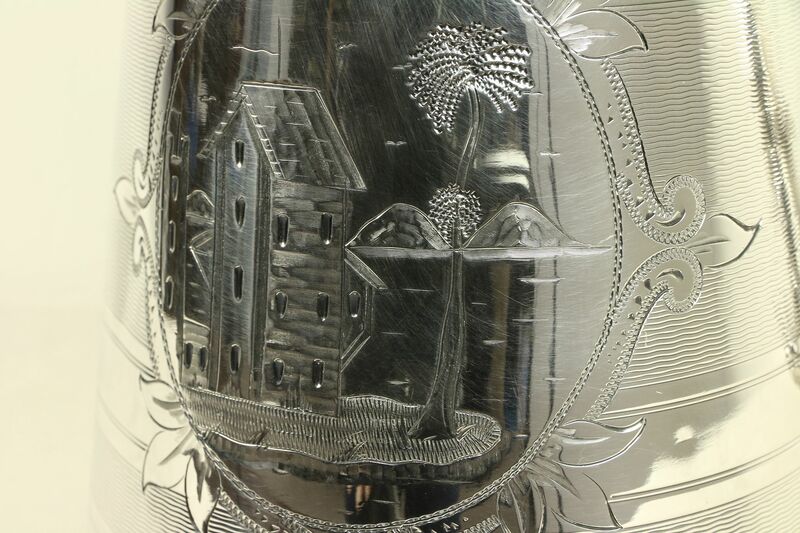 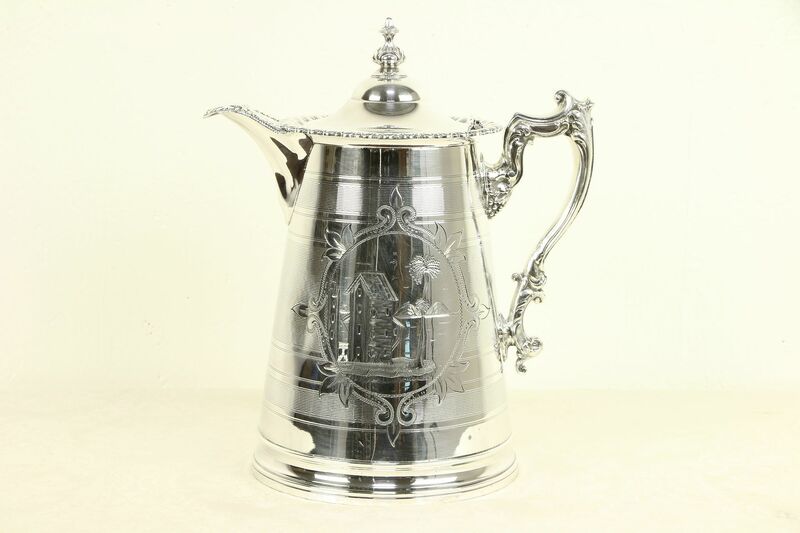 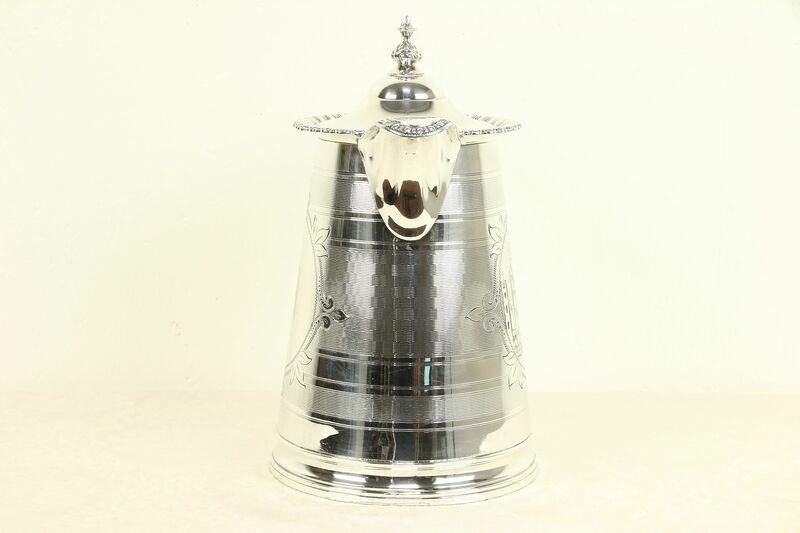 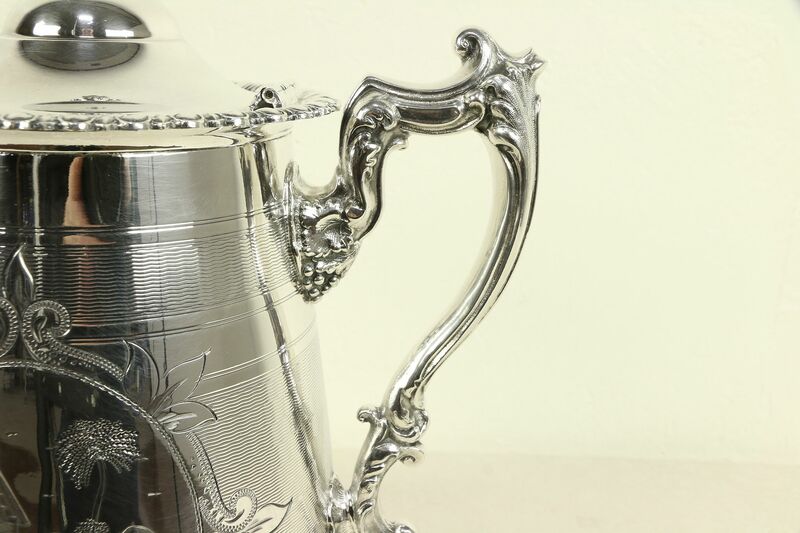 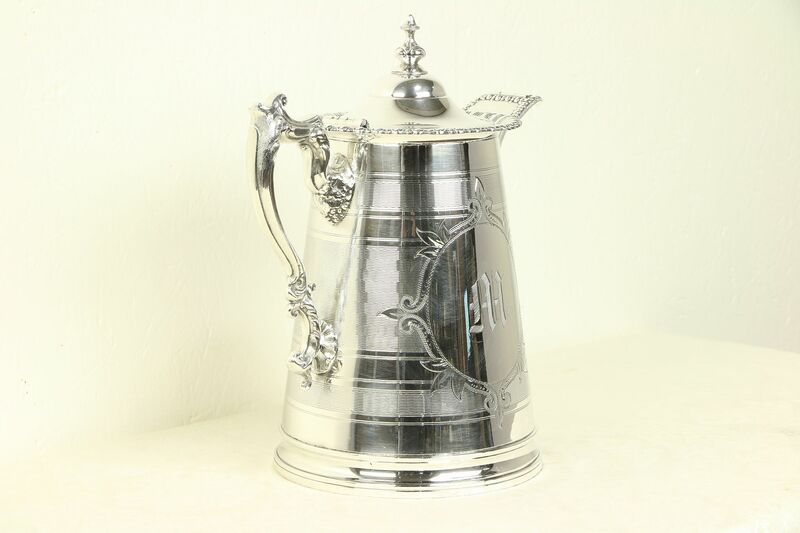 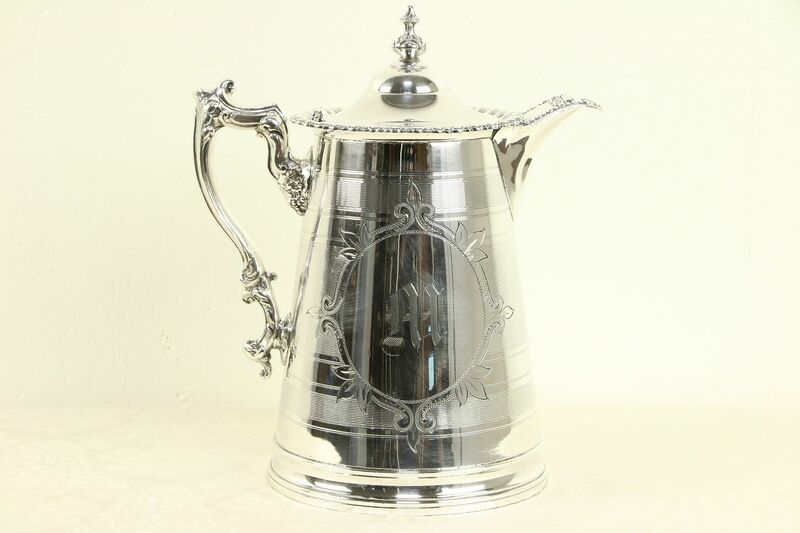 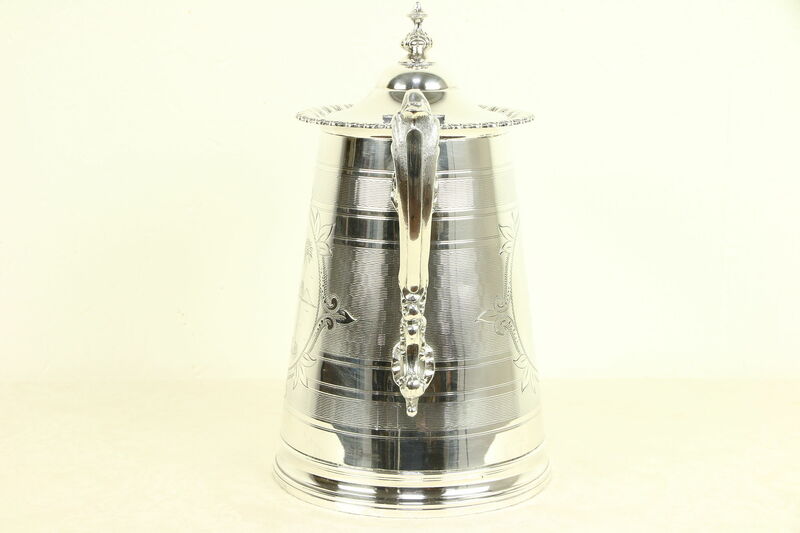 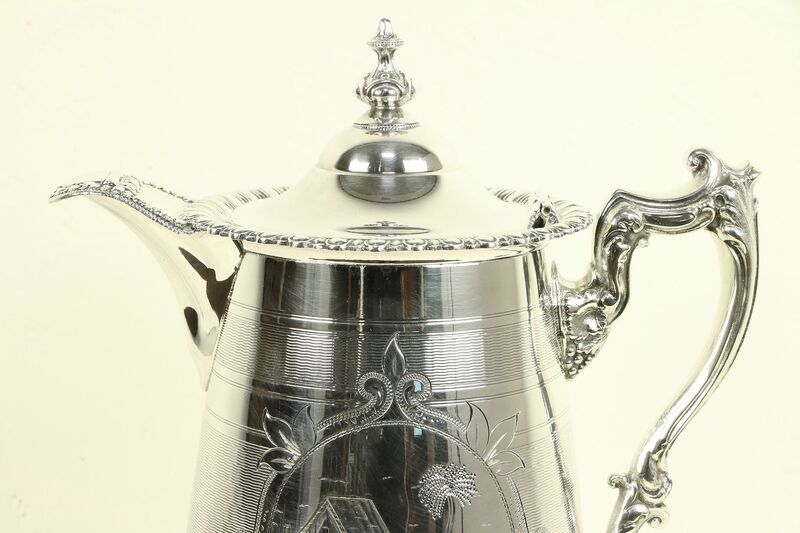 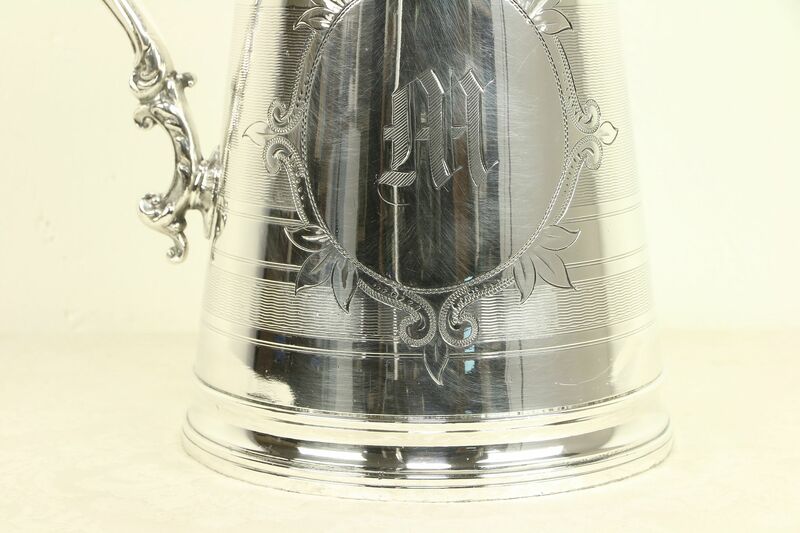 A Victorian period "insulated" silverplate water pitcher bears an opulent hand engraved scene of a tropical island and palm tree. 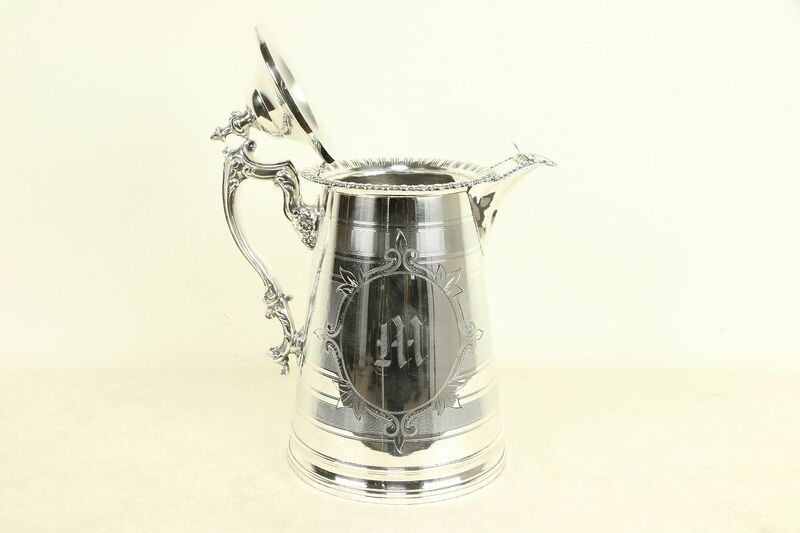 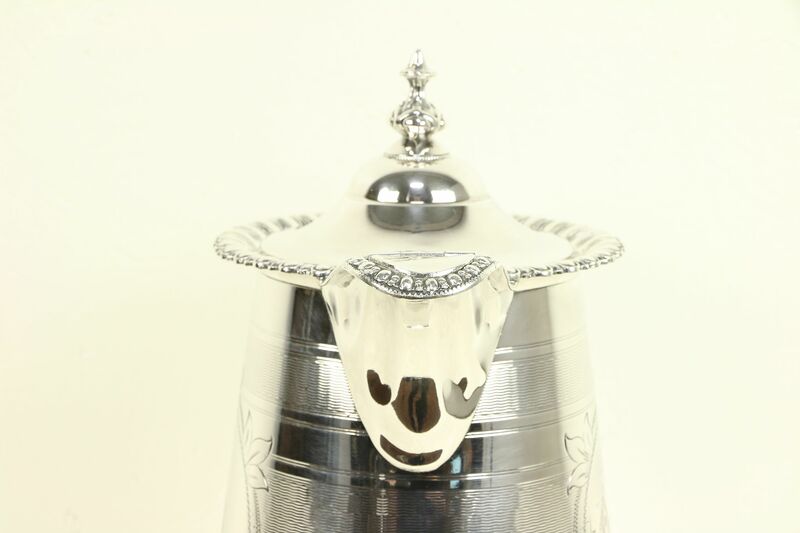 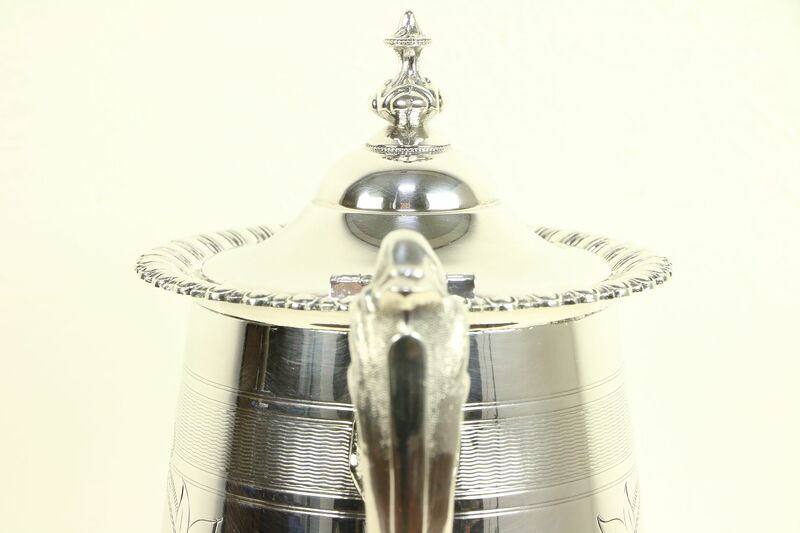 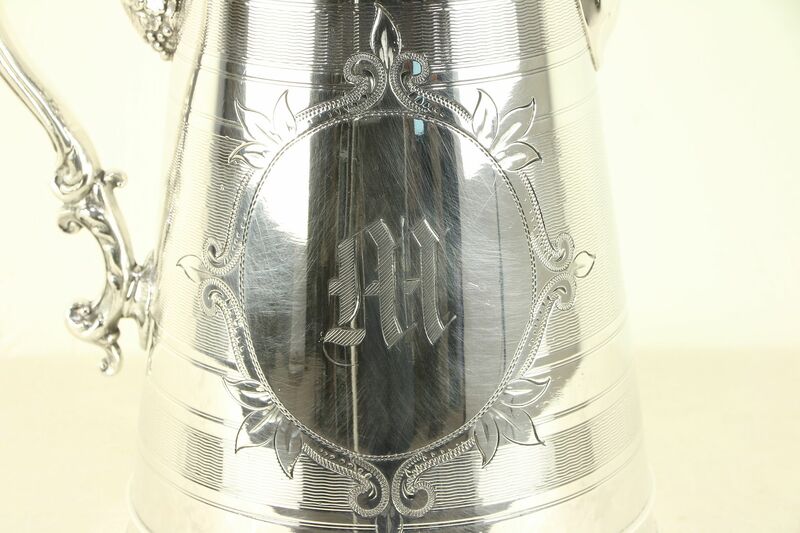 There is an "M" monogram on the backside plus grapevine motifs on the handle. 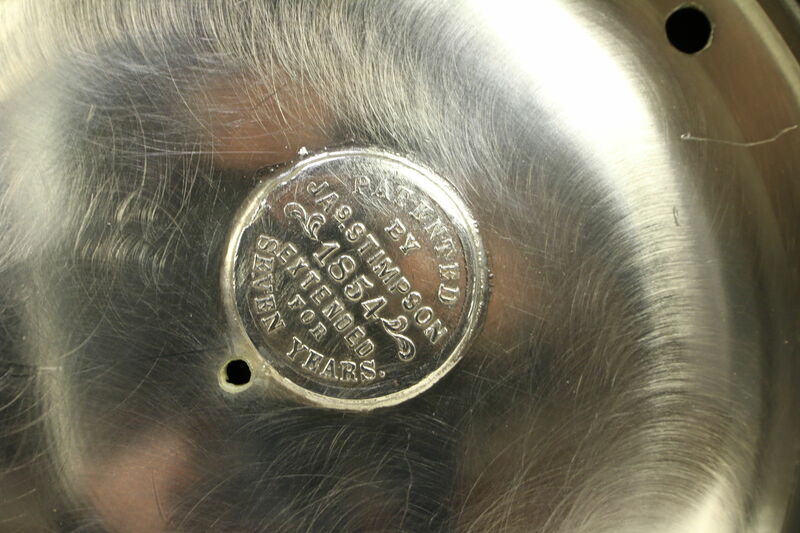 Signed "Stimson, Pat. 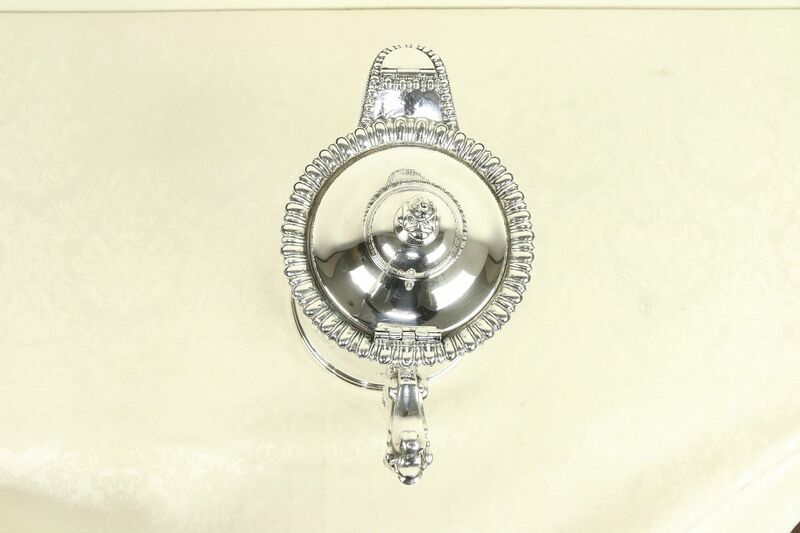 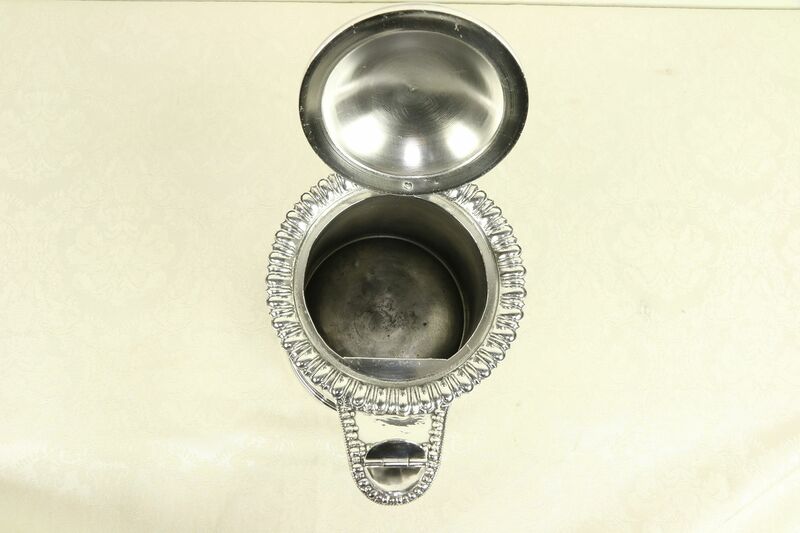 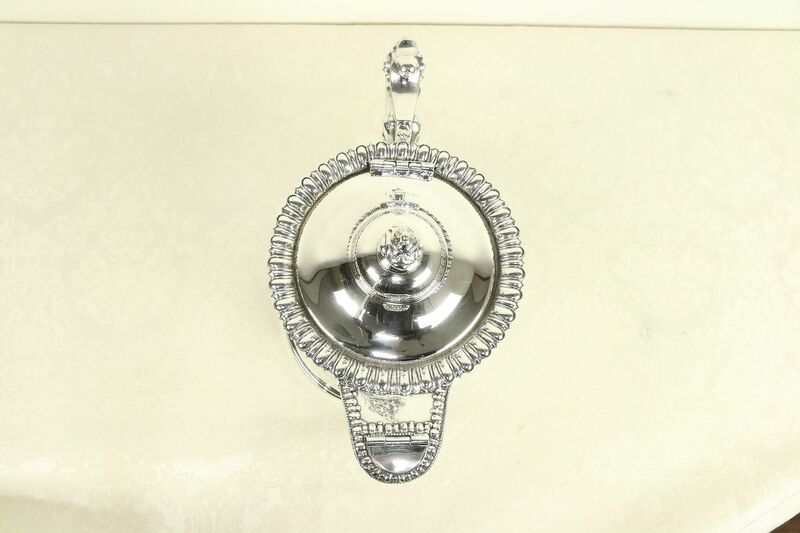 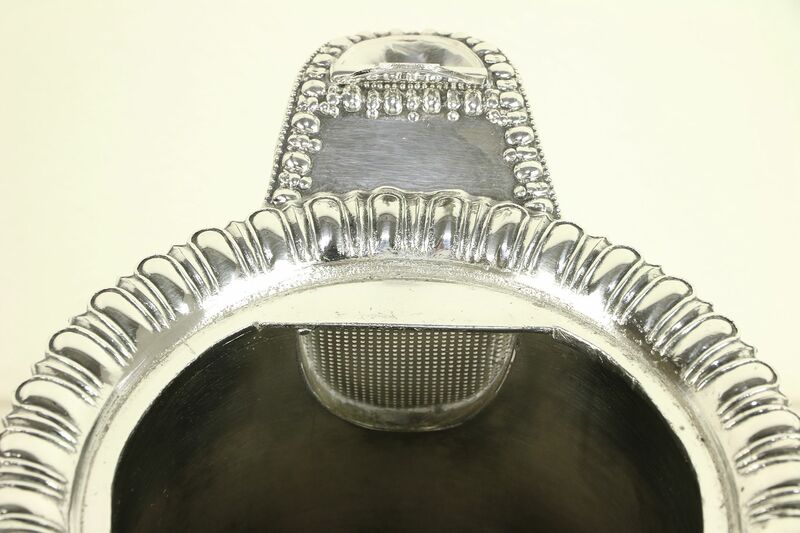 1854," this American made antique serving ware has been recently replated, and is in very fine condition. 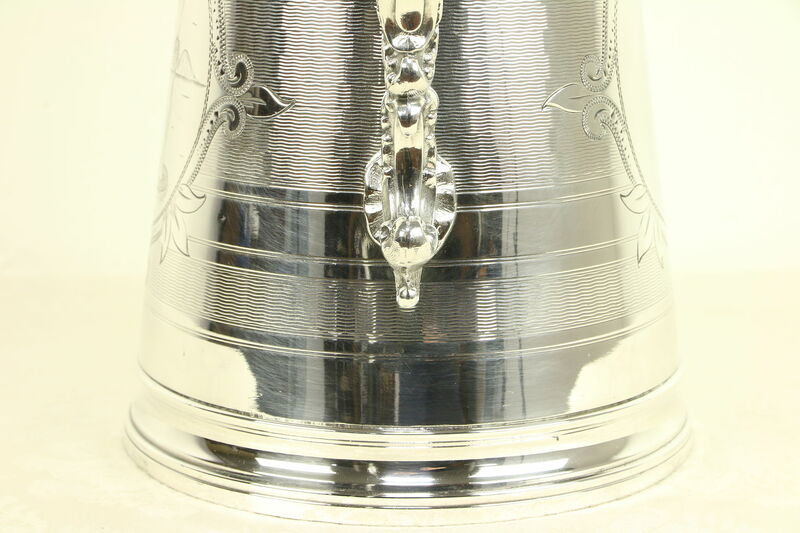 There is a slight dent to the left of the scene, see photos. 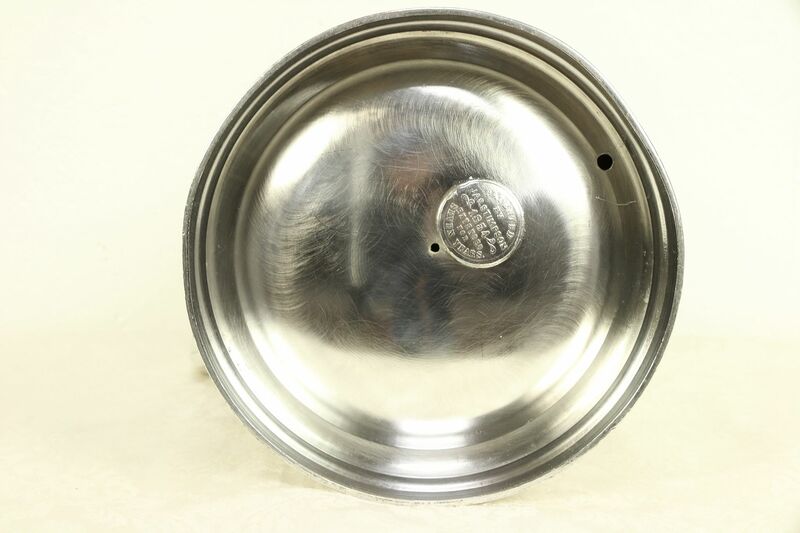 Size is 11" across, 7 1/2" deep and 12 1/2" tall.